LIMITED TIME OFFER - 15% OFF YOUR NEXT ORDER! 4 - Free delivery and other offers (for qualifying orders) can still be used with this limited time offer! Simply register on our website, using a valid email and delivery address. Following successful registration, you will receive a confirmation, followed by a discount code via email that can be used with your next purchase from our website. 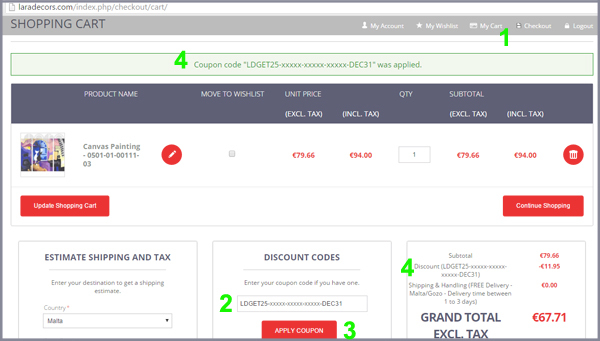 This will be your unique discount code, that has to be input in the 'My Cart' page when ordering through the website. Please click the button below and complete the registration process, thank you!